Faebook has added a fund-raiser feature to help raise funds for areas in distress. The feature will be live on locations where safety check is activated. 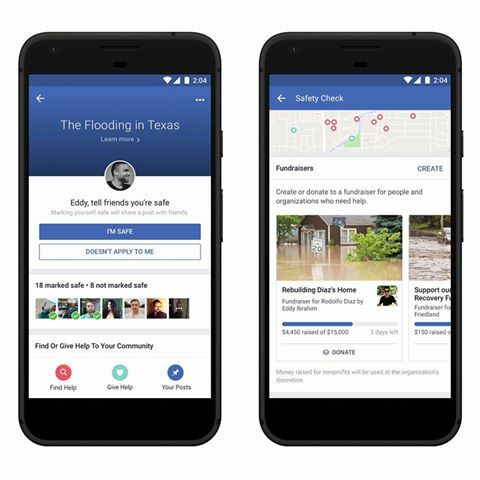 As part of our ongoing efforts to keep our community safe, we’re adding fundraisers to Safety Check, so people can now raise money for relief efforts. We’re also expanding Community Help so it’s available on desktop and for all incidents where Safety Check is activated.One of the best things about the internet is how communities come together really quickly. It’s inspiring to see how people around the world use tools like Safety Check and Community Help to support each other when it really matters.